when you choose a rental property manager. We take our task seriously and your home is our number one priority. With almost 20 years of property management experience, we are confident that we can provide you with the highest quality services, exceptional cleanliness, and outstanding customer service that you and our Guests deserve. What is our formula for success? * IMAGES: We team up with professional photographers to take pictures of your home that showcase the beautiful details you have painstakingly put into place. We also work with a professional videographer to have professional videos taken showing the layout of your home. Our third level of marketing is providing detailed floor plans which give our Clients every possible opportunity to get to know your home when they are looking for the perfect vacation home. * TEAMWORK: We have an outstanding field staff who are always working to maintain your home. We use only licensed and bonded repairmen, contractors, plumbers, etc., always ensuring that your home is taken care of to the highest level possible. We strive and succeed in providing excellent customer service in our offices to our Guests as they are asking questions about our area, our homes, and our attractions. We spend the time to get to know our Guests ensuring that the home that they are choosing is the best fit for their group size and for their needs. * STATE OF THE ART WEBSITE AND MARKETING: We spend hours on our website weekly keeping it fresh, accurate, and inviting. We make the time to keep up-to-date on SEO practices, as well as market on the various social media outlets. 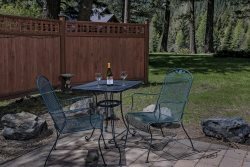 We are constantly reading, learning, studying the many ways to make sure that your home is always well represented when it comes to anyone looking for Wallowa Lake vacation rentals. * OWNER PORTALS: We have a comprehensive Owner Portal that will give you real time access to your accounting, reservations, owner reservations, and the ability to keep all of this information together "on the cloud" vs. on your hard drive. Need to know about a reservation and it is after hours? No worries! Log into your Owner Portal and it is at your fingertips. We work with professional accountants and professional online reservation booking system to ensure that your money is accurately accounted for each and every month. * OCCUPANCY RATES: Our business is growing each and every year with increased bookings and increased rental inventory. We would love to talk to you to see if your home is a good fit with our management services. Together, we can gather information on your home, it's amenities, rates, and what we can anticipate for occupancy numbers. Each home is different, so let us help you come up with the best way to market and maximize your profits. We, as your professional management company, do not own any of the homes we represent, therefore each home is an individual home in our books. We strive to maximize the occupancy in all of our homes. * MEMBERSHIPS/CONFERENCES/PODCASTS/ETC: We are constantly working to be better. We are members of several Lodging memberships such as Oregon Restaurant Lodging Association that help us be "in the know" of all things in the industry. We attend industry related conferences that are focused and path driven where we choose the classes that we feel we need to attend. We listen to podcasts from people that are big in our industry. Heard of Matt Landau? Yeah, we've met him several times.....he's gonna be world famous some day! We are constantly researching ways to be better (not necessarily bigger), and working smarter not harder. This just isn't a sideline business, or a business that we are doing just to "make ends meet". We have built this business from the ground up and every detail has been painstakingly thought out. We work year round to make sure your home is cared for, looked after, and work to maximize your occupancy every single day. We take our job of managing your home personally and we strive to find the perfect home for our Guest's vacations. Together it is a beautiful relationship and very rewarding to have the relationships we do with our Owners and our Guests.